Presently, Brooklyn Learning Lab approaches its fifth week in session two. For the past four weeks, we focused our efforts on developing student’s addition and subtraction reasoning capabilities. Therefore, our third and fourth weeks contained routines around comparisons. Whereby, we emphasized the phrases “more than” and “less than”. Last, we completed the routines by discussing addition and subtraction as inverse operations or “opposites”. 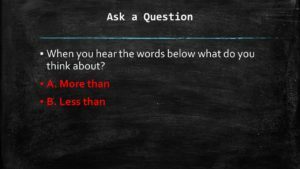 To begin the comparison routines, we asked children to explain what they think about when they hear the phrases “more than” and “less than”. Our students felt that “more than” meant addition and “less than” meant subtraction or to minus. 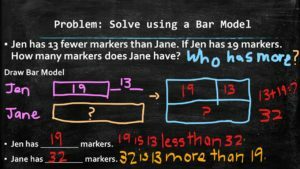 As a former classroom teacher, I taught my students a similar line of reasoning where more means add and fewer means to subtract in word problems. 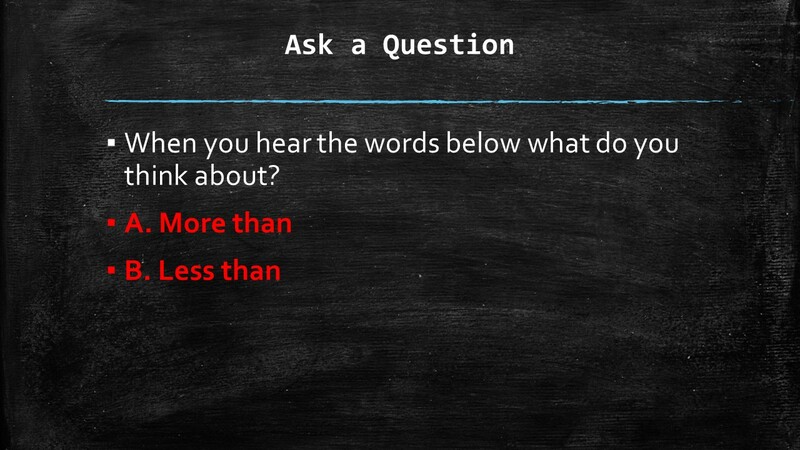 With this said, I was not surprised to hear the kids interpret “more than” and “less than” in such a manner. As such, we kept going back to this question throughout our daily sessions. We used the Singapore Comparison Variations for More Than and Less Than to create five cases comparing both scenarios. 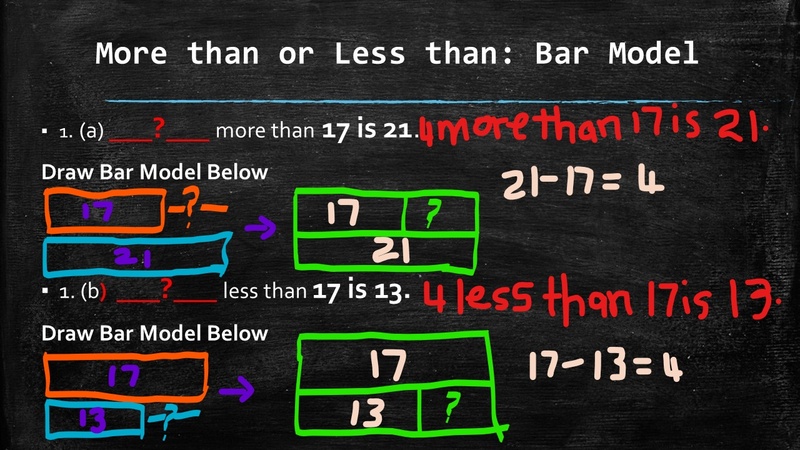 (www.teach-kids-math-by-model-method.com/comparison.html). 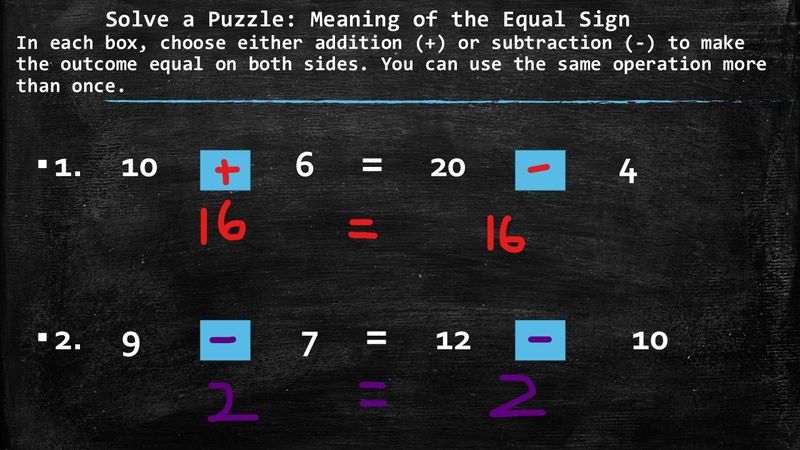 Below is an example of how we used both cases together. To add context to the comparison cases, our students worked on problem situations using the phrases “more than” and “less than”. Finally, students discussed the inverse relationship between addition and subtraction. During my teaching days, I taught it as Fact Families. 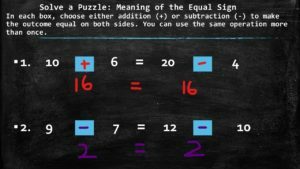 My former students learned fact families with no understanding about the relationship between addition and subtraction. 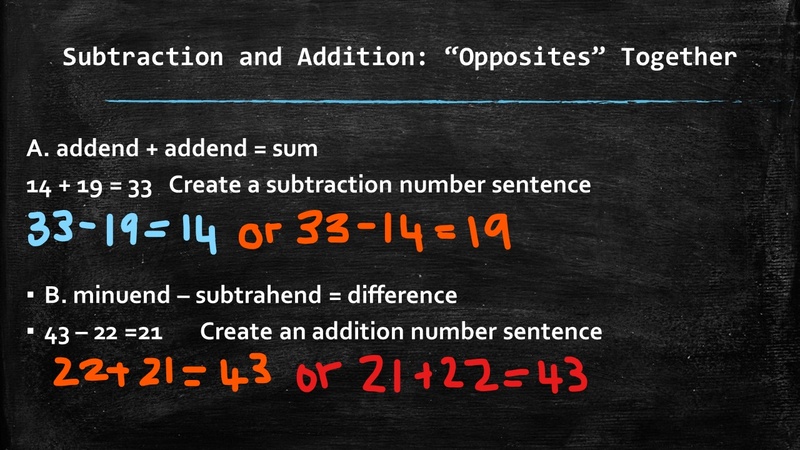 Today, I felt it was a good opportunity to have students speak about what they noticed based on the given mathematical terms used to describe addition and subtraction. 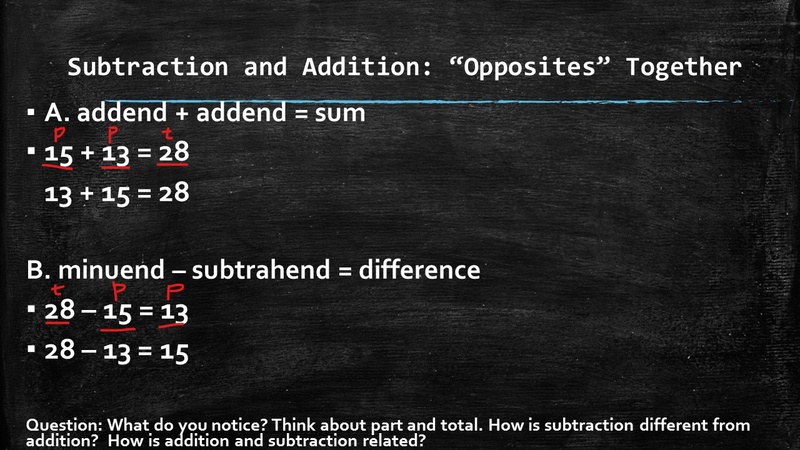 I also introduced addition and subtraction terms: addend, minuend, difference, sum and subtrahend. Then students worked on creating a subtraction number sentence for an addition case and vice versa. 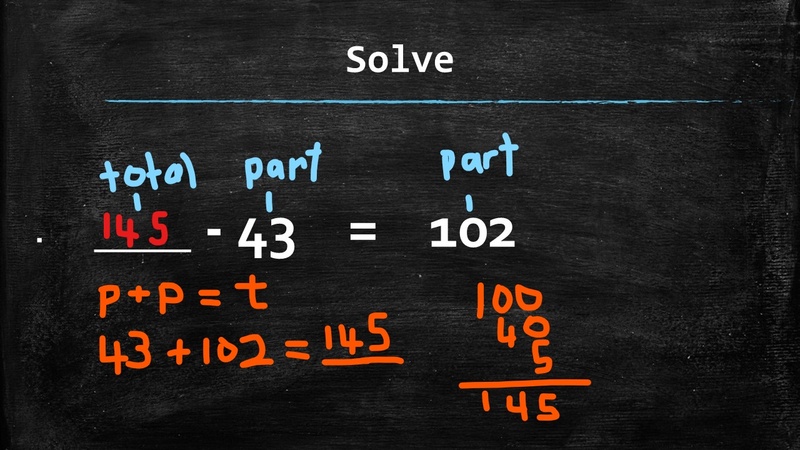 Last, I had students continue to solve for missing addends, subtrahends, difference and sum. 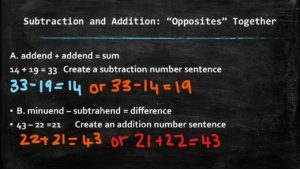 Our hope is that our students will appreciate the relationship between addition and subtraction and the difference between addition and subtraction. 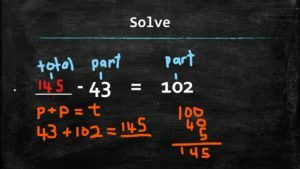 If you have already guessed it our goal is to introduce kids to solving for missing letters in addition and subtraction cases like x- 15 = 31. 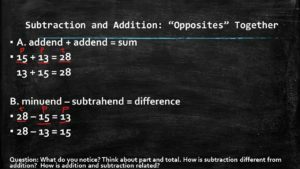 Additionally, introduce the term communtative property and discuss why subtraction does not follow the rules of this property. 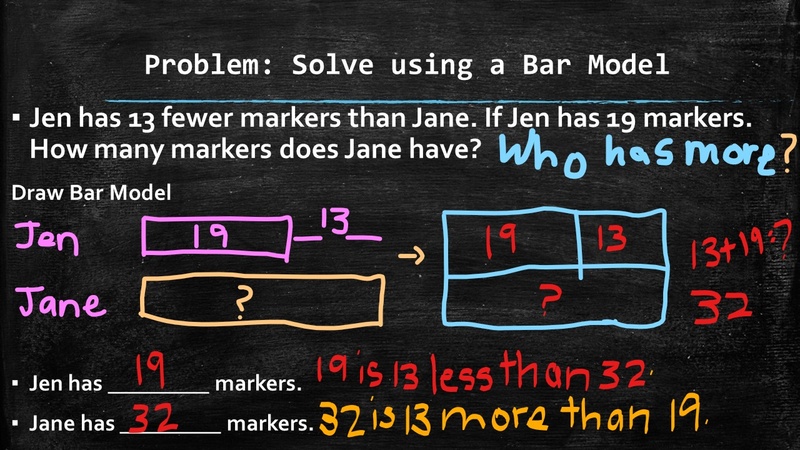 These routines are not one hit wonders but they are used daily within a set of cases geared to build addition and subtraction reasoning: joining, separating, comparing and part/part total. 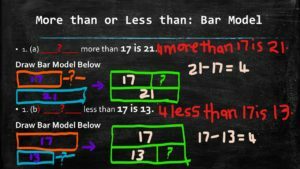 Here is our week three and four routines: More than, Less than and Opposites (Addition and Subtraction) Brooklyn Learning Lab Comparison and Opposites Set Routines. Greetings! I know this is kinda off topic however I’d figured I’d ask. Would you be interested in trading links or maybe guest authoring a blog article or vice-versa? My site discusses a lot of the same subjects as yours and I feel we could greatly benefit from each other. If you’re interested feel free to send me an email. I look forward to hearing from you! Fantastic blog by the way!